Rumors Continue: Zeta-Based Chevrolet Sedan To Make Its Way To U.S. Market? Ever since the Pontiac G8 sport sedan was sent to an early death with the rest of The General’s “passion” brand, rumors have constantly run rampant regarding the G8 eventually reincarnating itself as a Chevrolet in the U.S. market. 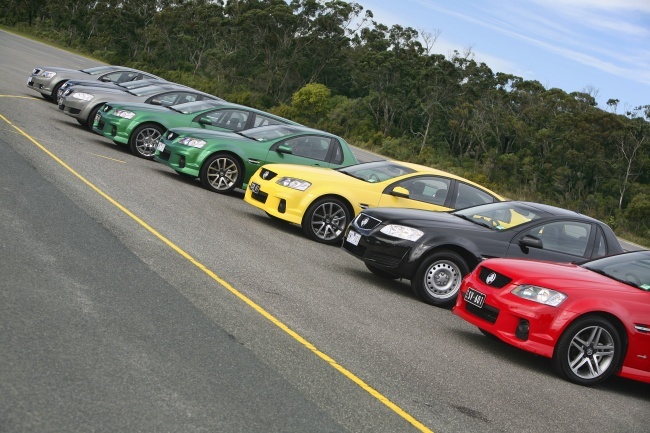 According to Australian automotive news website, Drive.com.au, an unnamed source went far enough to actually claim that a deal to export the Holden VE Commodore to the United States badged as Chevrolet models has been approved. However, the source was not identified and senior engineer Al Oppenheiser was not confirming anything. “We are definitely looking at that, although we have made no official announcement as yet,” said Oppenheiser. So – until the official announcement comes from General Motors on weather or not we will indeed one day see a G8 reincarnate for the consumer market, we have every right to be jealous of police officers for their access to the upcoming Chevrolet Caprice PPV.